Those who are working to become a paramedic in Florida will of course be interested in knowing the paramedic salary in Florida. 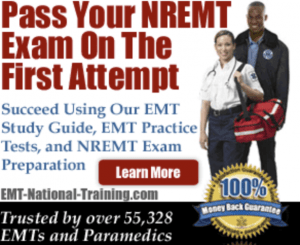 While saving lives and being a local hero is individually satisfying, it’s only natural that those aiming to acquire the proper skills and training to be an EMT-P know how much money a paramedic makes every year. Understanding the paramedic pay in FL is a bit complicated, only because it can vary based on the region one works, the experience one has, or the actual job title on holds. While we all know that a paramedic makes more than an EMT, there are many other similar jobs in the field. From a wilderness EMT to a firefighter paramedic or a flight medic, each job carries a different pay structure. There are even some licensed paramedics who go on to enroll in a Paramedic to RN bridge program, where they work towards the becoming a Registered Nurse. Prior to getting into any specific numbers when it comes to paramedic salary in FL, it’s best to cover a few key national statistics. Using Salary.com as our guide, let’s see how the salaries for EMTs, paramedics, and flight medics compare in the largest cities in FL (by population). In Jacksonville, Florida, EMTs make $29,046 every year. Paramedics make an average of $36,821 per year. And flight medics make $39,396 annually. In Miami, EMTs earn $29,707 annually. Paramedics earn $37,659. And flight paramedics make $40,293 in yearly income. In Tampa, an EMT makes $28,591 in salary. Paramedic salary equals about $36,244, while a flight paramedic salary is $38,779. In St. Petersburg, EMTs make $28,591 per year. Paramedics earn $36,244 each year. And a flight paramedic pulls in $38,779 annually. And in Orlando, the home of Walt Disney World and Universal Studios, an EMT makes about $28,384 annually. Paramedics make $35,982. And a flight paramedic makes $38,498 annually. If you’re currently looking for a paramedic job in Florida, it’s recommended that you visit our job board. There, you can search for hospitals and ambulatory services that are looking to hire, as well as get your resume out and in front of key decision-makers. As you can see, the paramedic salary in Florida–in terms of the cities we examined above–shows an estimated salary that’s less than the $38,347 projected by Salary.com. Hopefully you’ve been able to use this information to better help you determine whether or not you want to become a paramedic. While the job of a paramedic won’t make you rich, it’s a fulfilling career that’s best suited for individuals that thrive in a fast-paced setting, and enjoy a job that’s always unpredictable. For more details on becoming a paramedic in Florida, be sure to bookmark our homepage.